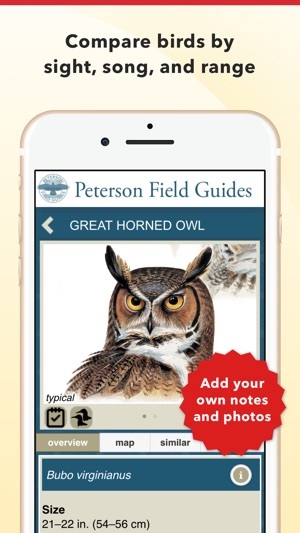 This comprehensive mobile resource includes information from 8 Peterson Field Guide books, including the best-selling guide to birds in print - Peterson Field Guide to Birds of North America. Take birdwatching to a whole new level! Quickly identify birds you see in your garden, on your way to work, or out on a hike, with Roger Tory Peterson's innovative identification system. Time-tested illustrations and our unique display of similar looking birds make for fast comparison. Install the free version today! We have provided a limited free version of the content that you can try before deciding to upgrade. 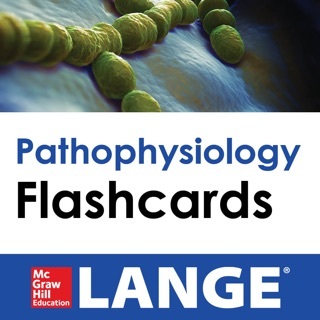 This version includes a limited look at the vast resources available. 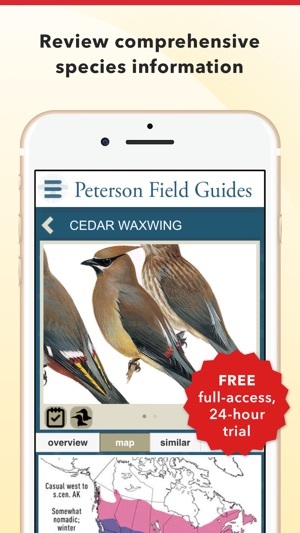 As the official Peterson app, Peterson Birds puts comprehensive descriptions, full-color illustrations, bird songs, range maps, and nest photos for over 800 species of North American birds right at your fingertips. Presented in a fun-to-use, innovative format, Peterson Birds of North America is a must-have tool for birding enthusiasts everywhere! 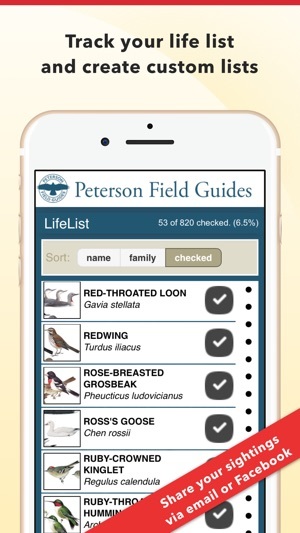 ▶ Peterson Birds lets you compare similar species by sight, song, and range from one screen. 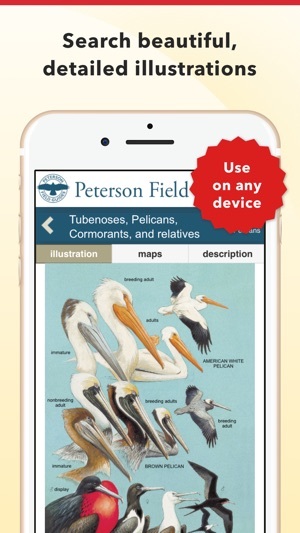 ▶ Swipe through pages of wonderfully organized illustrations so you can identify birds faster. ▶ Locate birds in your area with ease using the smart search feature populated with user-specific county-level and monthly data. Not quite sure what you’re looking for? Browse birds by species category or alphabetically. ▶ Make our field guide YOUR go-to bird identifier - create your own Species Notebook with user photos, make custom lists of birds, record your sightings, share individual sightings and lists with friends via email or social media, and check birds off your life list. ▶ What's going on in your neighborhood this week? The app syncs up with the web-based Cornell University eBird.org database, tracking every bird recorded in your county with frequency data for every week of the year. 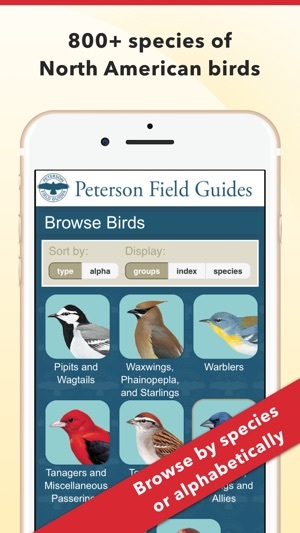 See petersonguides.com/BirdFinder for more information. Fix issue with sighting location not always populating. 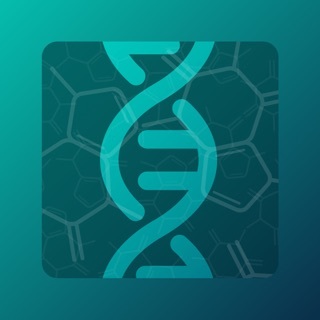 When I got the notice I needed to purchase this app I initially went ballistic because I purchased it a long time ago and I had also received a notice that my iBird app from Mitch Waite group would no longer be upgraded and I would have to purchase a "new" app! Here is the difference between the two companies. gWiz LLC went out of their way to help me. 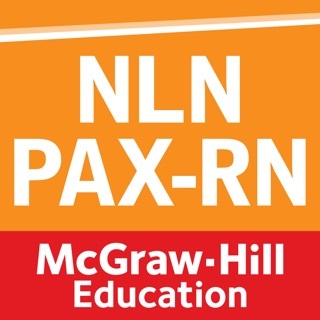 I received a personal email from customer service with a phone contact. They reset my information and even stayed on the phone until I was satisfied that everything was in working order. The Mitch Waite group however, simply told me in an email that they needed to charge for upgrades because of the cost of maintaining their program. What they didn't explain was why they sell an apps at huge costs then stop upgrading them and bring the same apps under new names expecting us to pay for them again. Illustrations of similar species are excellent, such as the Myiarchus genus containing Ash-throated, Dusky-capped and Brown-crested flycatchers. Peterson, as well as the Sibley Birds app, portrays the subtle differences well; in contrast, iBird’s illustrations of these three are wildly inaccurate. Unfortunately, recent AOU splits are not depicted: Pacific and Winter Wrens are still considered Winter Wren; Sagebrush and Bell’s Sparrow are still Sage Sparrow. Another shortcoming is having only one song/call although it is the most representative. There are good range maps, a link to similar species, and general info on the bird. The developers are very responsive. After I complained by email of the frequent, annoying prompts to log-in they issued an update on Dec 15, 2017 which solved this problem. 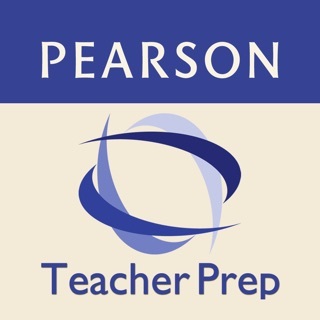 I bought this app several years ago and have used it often. It was my primary guide to bird identification in the continental US. I recently tried to restore this purchase on a new iPad, but I get a message that I need to purchase it again. 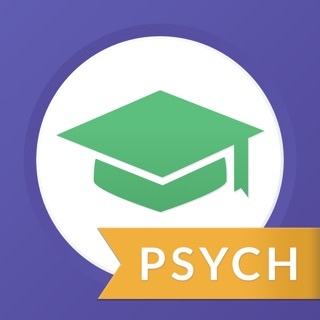 I like the app, but not enough to pay for it multiple times. 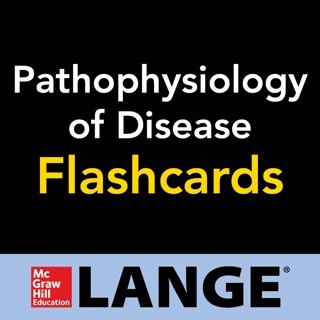 I see others have had this issue too. After contacting customer support for this problem someone responded in about a week. Based on the slow response and the inability to use the app for which I have already paid for about a week, I rate it three star and would suggest others to be weary of purchasing it until they can resolve this issues that so many of have also experienced.